Microsoft outdoes itself with the Surface Pro 4 tablet, advancing Windows 10's core ideals into the physical world. Microsoft’s Surface lineup, like Google’s Nexus devices, serves as a physical paragon of the operating system it runs—Windows 10 incarnate, an avatar of what’s possible when designers deeply intermingle hardware with software. It’s appropriate, then, that the Surface Pro 4 that Microsoft revealed on Tuesday is more of a Windows 10-focused refinement of the last-gen Surface Pro 3 than anything else, in much the same way that Windows 10 keeps Windows 8 in its heart, but tweaks the formula for desktop sensibilities. That’s no knock against the Surface Pro 4, though. 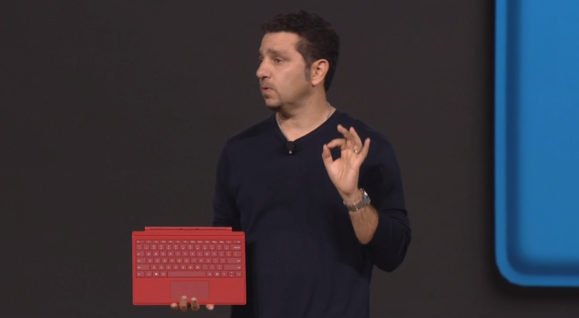 Microsoft nailed 2-in-1 design with the Surface Pro 3, finally realizing the Surface ideal’s core vision. With a faster, more power-efficient Intel Skylake processor, a 12.3-inch display, and more, the Surface Pro 4 is easily the most compelling slate Microsoft’s ever released—and strong competition for the Surface clones that both Apple and Google revealed over the past month. 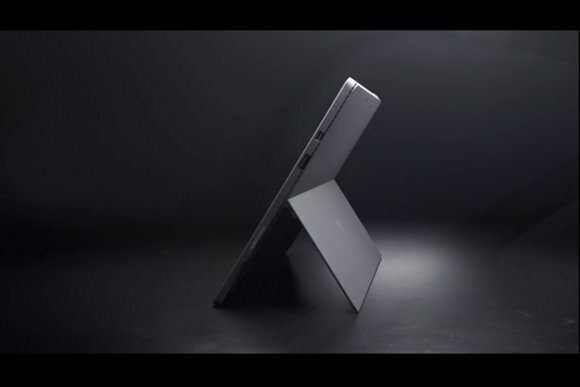 Panay boasted that the Surface Pro 4 is 30 percent faster than the Surface Pro 3 and a whopping 50 percent faster than Apple’s MacBook Air despite being the thinnest, lightest Surface yet, at 8.4mm thick. The only reason it isn’t skinnier, Panay says, is to provide room for a full USB 3.0 port. 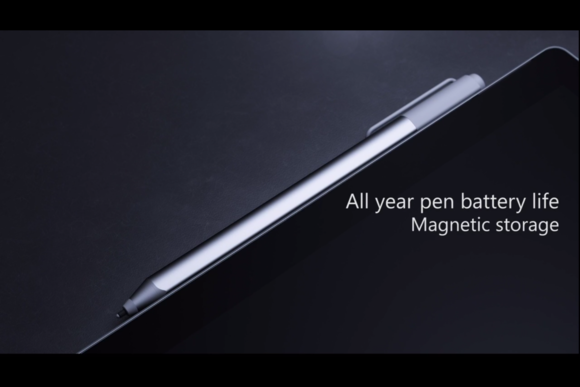 The slate will also offer PC-level memory and storage options, with up to 16GB of RAM and 1TB of storage options. 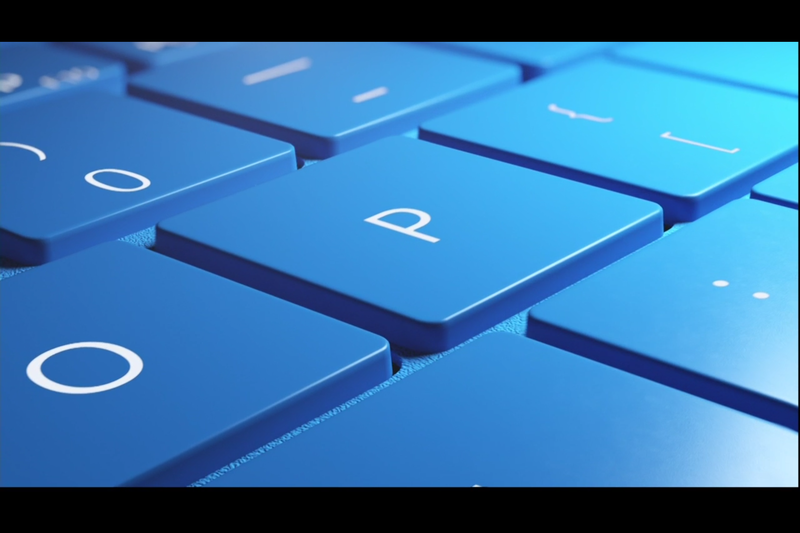 Beyond the enhanced performance and battery life provided by the new Intel chip, the Surface Pro 4 essentially does away with its bezel, leaving just enough room for the Windows button along one edge. Why? Well, with Windows 10 doing away with Windows 8’s slide-out Charm bar, bezels aren’t as necessary anymore, and cutting back on the border let Microsoft expand the screen an extra 0.3 inch. 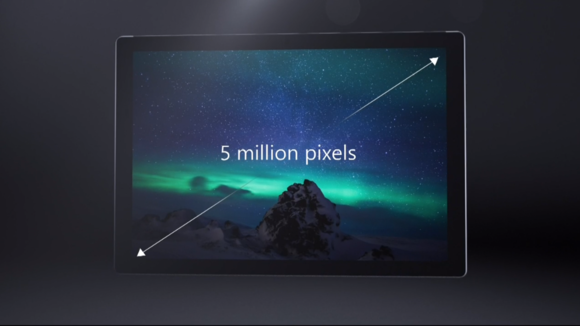 Plus, it gives the 5-million pixel, 267 pixels-per-inch display room to shine. The older Surface Pro 3’s 2160x1440-pixel resolution was already breathtakingly crisp; it’ll be nice to see this new screen in action. The Surface Pen also tangibly ties into some of Windows 10’s key new features. Holding down the eraser summons Cortana, who responds to your verbal queries. What’s more, web searches conducted with Cortana open in Windows 10’s new Edge browser—pages that you can then mark up using the Surface Pen. Seamless. 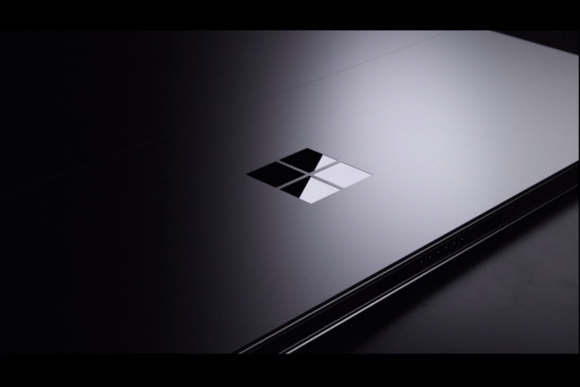 Microsoft also rolled out a thinner, lighter new Touch Keyboard and a new Surface Dock with USB 3.0, ethernet, and a pair of 4K-capable DisplayPort connections to pair with the Surface Pro 4, though both also work with the Surface Pro 3. The new Touch Cover packs tighter keys than before, and its 5-point-multitouch trackpad increased in size by a whopping 40 percent. It also packs an integrated fingerprint reader so that Surface Pro 3 users can tap into Windows 10’s Windows Hello biometric authentication. Surface Pro 4 users won’t need to use it, because the SP4’s 8-megapixel front camera offers full support for Windows Hello’s facial recognition technology. In other words: Bring it, iPad Pro. If you want to learn more about Microsoft's new tablet, be sure to check out PCWorld's initial hands-on impressions of the Surface Pro 4.